Make a reflective work of art using cool printmaking techniques at this architecture-themed workshop, inspired by the hundredth birthday of the majestic Driscoll Villa! Collaborate with fellow architects on a Lego city and learn more about how buildings are made. The Contemporary Austin offers free monthly hands-on art-making activities, brought to you by HomeAway. Recommended for ages 2–11. 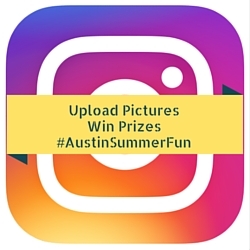 Share your photos on Instagram as you complete items off the Austin Summer Fun Checklist for Kids for a chance to win weekly prizes. Tag #AustinSummerFun and be sure your profile is set to public. We can't wait to see your family having fun together this summer!